Matt Malley – the American bass quitar player, a member of the famous band Counting Crows released his solo album The Goddess Within. I have met Matt accidentally at Guru puja in Cabella in 2006 together with Debbie Eckman. For a while I have monitored his new project The Auroras and then Matt came with his new CD. The interview for sahaja radio was devided into two parts – the first one was about his life and music, and this second is about his new CD. VH: On YouTube you had presented in the short profile your life story and looking for yourself. I would like to return to the very beginning to your first musical attempts. 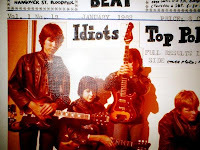 Your first band was The Screaming Idiots – nobody knows anything about it. Could you present in a few words the history of this formation? (I was smiling at the photograph where you look like Paul McCartney). MM: Yes you saw the „Screaming Idiots“ photo! That was a band which I formed in highschool, (age 15 through 18 here in America) with my childhood best friend, Mike Detwiler. We didn't write very many songs of our own, but we did play songs by our favorite bands including the Beatles, Led Zeppelin, Creedence Clearwater Revival, the Kinks, etc. We played at parties located around the San Francisco Bay Area, (where I grew up) for a number of years - almost every weekend. It was a very fun time learning to play bass guitar in a rock band! My first bass guitar was purchased by Mike's father who bought a cheap bass as well as a regular electric guitar and Mike took up the guitar while I took up the bass. It was my first real rock band experience playing for an audience. VH: Then you started to look for yourself , you came to know yoga and at the same time entered the showbusiness world as the main member of the superband in the USA the Counting Crows. The hit Mr. Jones flew all over the world and suddenly you became famous. How did the fame and tour life influence your spiritual life? MM: Fame and touring etc and spirituality. That's a good question. Fortunately I was practicing Sahaja Yoga for 5 years before Counting Crows became famous, so I did have some "roots" placed which helped me immensely. I had started seeking in the late '80's, reading all of the seeking books, (Alan Watts, Joseph Campbell), and when I found Sahaja Yoga I threw all of the books away - I knew that I had found the truth. By the time Counting Crows became famous, I turned out to be the quiet type on the road; I would be the band member going back to my hotel room after a show to footsoak and meditate while the rest of the band went to the bar. I did get to give realization to fans of Counting Crows after shows during autographs - and sometimes they had very strong experiences! Some felt lighter, some felt dizzy...(they had been drinking I guess...) one lady kept falling towards her left. Sri Mataji told me that I have to put my attention on the kundalini of the audience when Counting Crows were playing on stage and I can give realization to our audiences this way - I would do that and I can remember that it felt like my eyeballs were floating in ice water! The vibrations would be so strong. VH: You were nominated for Oscar for music. Did it mean anything to you? MM: When I got an Oscar nomination, I had just left the band. I was invited to attend the Oscars by the band and their manager at the time, but I politely said "no" because I had had enough of Hollywood at that point. I remember telling them that I'll have more fun watching it on the television with my boys in my lap than being there in person. The Oscars celebration meant nothing to me, but I am actually happy to be an Oscar nominated songwriter! In reality it means nothing - but it's a good trophy to have, as far as trophys go! So I guess I could say that I do enjoy it - but I'm fully aware that it doesn't really mean anything! VH: In 2004 you left the Counting Crows and musical scene saw the new formation The Auroras which however ended its career. Why did you not continue in this project? MM: The Auroras were a small 3 piece band which I formed with a couple of childhood friends, Mike Neighbor and Paul Bach. Paul was the drummer and Mike the guitarist/songwriter. Mike is a true musical genius and I was so happy to finally start up a band with him. We recorded 2 ep records and released them on the internet and they sold pretty well but I shut everything down when we broke up in Summer, '07. The vibrations were too hard - Mike and Paul are not Sahaja Yogis and it felt like I was trying to breathe underwater, if you know what I mean. I love them both, but it was just too much of a struggle to try to be in a band with them. I'm thinking of remixing our songs and releasing them more officially on the internet - Mike is so good that I want the world to hear him badly. VH: During your activities on the American musical scene you have met many famous artists. How do you perceive as a human beeing who had found himself and his life aim such world of musical showbusiness? Is it difficult to leave it behind? MM: I did meet some legendary artists! I met Robert Plant in Dublin Ireland in '02 when he was touring small theatres with a little band he called, "The Priory of Brion". He COULDN'T HAVE BEEN NICER. A true gentleman. The other rock star I met and was impressed with was Bono - he was "hollow". He seemed to not have ego and I felt strong vibrations from him. I met him in '99 in New Jersey at Giants Stadium. We were both playing for some internet show and he was asking me how our tour is going - I felt humbled at his humility. Also Neil Young couldn't have been nicer! That was in '03 - he invites all of his opening artists at his annual "Bridge School Benifit" over to his place for bar-b-que. 100 acres of Redwood forest in Northern CA, near San Jose. Wonderful man. Leaving behind all of the touring, fame, etc is not a problem at all. If anything, I'm eager to get busy with whatever else life has in store; I don't want to sit still for too long - but as far as being in a big touring rock band...it was fun in my 20's and 30's, but when my children came into the world and I started entering middle age, then living in a hotel room, (which is what you do when you're in a touring rock band), just got to be too painful. I felt like a "missing in action" father and it just got too hard. If I miss anything about Counting Crows, it's all of the traveling...waking up over-seas and not being sure which continent I'm on when waking up, etc. The only thing I miss is traveling around the world. You get used to "being on the move" all of the time and when I quit the band in Dec. '04, I spent the next year "skidding down the runway". Trying to slow down - and a new sense of peace is now starting to grow inside. It's taking a few years but I'm finally adjusting to a quieter lifestyle. Who is actually Meri Marshall? 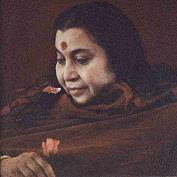 Those, who like the music and always seek something new in the sahaj culture, cannot miss her. Meri is a very nice and pleasant woman who, as many others, expresses and conveys her love to Sahaja Yoga to the surrounding world in the most beautiful way – through songs and music. 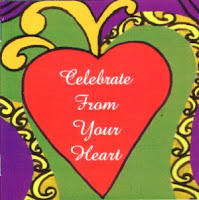 When a few years ago I got her CD “Celebrate from Your Heart” into my hands, I was very positively surprised. 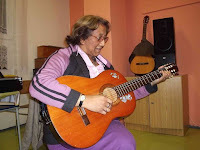 Her beautiful velvety voice blends beautifully with the chords of the guitar and her English connecting the other language is so fluent, that one sometimes doesn’t even notice she is singing in the original language of Maori. Yes, Meri is a genuine Maori. The CD, recorded by Meri herself, became one of my favourites and it impressed me so much, that I decided to make a small interview with her. And if we have a strong and pure desire, the Paramchaitania will make it possible. After few inquires directed to New Zealand, Meri answered, and was very enthusiastic about the whole idea. We started to communicate via e-mail and Meri, with joy, answered all my questions. I have been practising and enjoying Sahaja Yoga since 1993. How did you get in sahaja yoga? A dear Sahaja sister; Helen Platford (who I had worked with and we were already good friends) received her realisation in Australia and while back in New Zealand (Shri Mataji was in New Zealand at the time although I did not know it) she visited me and talked a lot about Shri Mataji and I received my realisation. Three years later in 1993, I was desperately seeking answers to major problems going on in my life and I called her in Australia and asked her to tell me more about ‘‘this lady“ Helen was coming over in a few days and gave me a photograph of Shri Mataji and immediately I felt wrapped in our Holy Mother’s protective cocoon and realise now that I was enveloped in her divine vibrations. From there, began my Sahaja journey. I am a trained school teacher(5-12 year olds) and have been working in Education for the past 25 years. I am currently lecturing in Maori Language and also The English Curriculum for schools, at a University/Teachers College, to trainee teachers which is excellent as these students are so enthusiastic and looking forward to working with children. Have you been with Mother personally? Yes, Mother has allowed and blessed me to be in her presence. The first time was in 1994 when Shri Mataji came to NZ and I was in the the group singing and welcoming her at the airport. Shri Mataji stayed at the ashram with us and it seems incredible now that we were sleeping just down the corridor from her. We had Mahamaya Puja and it was a blessing to be able to decorate our Holy Mother’s feet.Singing to Shri Mataji at Shri Ganesha Puja in Cabella in 1997 was a very memorable time and afterward when presenting Shri Mataji with puja gifts, it is hard to describe the feelings as Shri Mataji asked us about Sahaja Yoga in New Zealand. How did you feel when you met Mother? Often when waiting to see or present gifts to Shri Mataji, there are thoughts and sometimes questions that one may want to ask but once you are actually in front of Shri Mataji, all thoughts disappear and there is just the love and the enjoyment and the feeling of being bathed in beautiful cool vibrations. It is also the knowing that our Holy Mother knows Everything about us and to try and keep an open heart. Songs often come from things or issues that I feel strongly about and often start as a phrase, proverb or group of words that I have come across or even written as poetry. When making the CD Celebrate from my Heart, the focus was Shri Mataji and the words and music seened to have a life of their own and came together with little effort. I do not read or write music very well, so the tune is remembered by repetition and once the tune is completed and sounds good to the ear, I often tape it. I am usually working on three or four songs at once and am guided by the kundalini as I sing ( what I mean is, if there are no vibrations as it is sung, I change things around etc until the vibrations are felt.) So, in answer to your question, most often the words come first, then the tune or melody. When did you started to play quitar? My Father was very musical and played piano, piano accordion, guitar, harmonica and saxaphone by ear. We sang a lot together as a family and he taught me to play the piano by ear and then I learnt to play guitar chords when I was about 18. It would be wonderful to learn classical guitar as chords are a bit limiting. You live near by Australia. Have you met ULURU? How did you feel after the meeting? I went to Uluru quite a few years before I came to Sahaja but even then felt a special affinity with it. Maori Culture very much still identifies with the land and in New Zealand most features, hills, mountains, rivers are named and special to each tribe living near them. Before Sahaja, we had a photo of Uluru on our wall and since coming to Sahaja, having the photo on our wall is much more special and significant to me and I am blessed to be aware of and reminded of the innocence and wisdom of Shri Ganesha. You are a real Maori. Your roots strech deep back into the past. Was it difficult to come into Sahaja Yoga? The question you ask is often one I have asked myself. There were many times when I thought I must give up my maori culture and heritage in order to practice Sahaja Yoga but Shri Mataji gave me snippets of understanding that kept me going and gradually allowed me to see more of the bigger picture, of who we are and where we fit in the scheme of things. There are many things in maori culture and also of every culture, that are Truth, and it has been an interesting sometimes difficult journey sifting through the conditionings to find the truths of maori culture. I initially saw all the negative aspects of maoridom and it has only been through Sahaja meditation,that I have been able to learn the depth of knowledge and history of Maori culture. It has been enlightening to find that the truths in maori culture are the same as those of every other culture! The love, the truth and the Peace of God. I know this sounds quite profound but I sometimes cant believe how Shri Mataji has brought us all together albeit we have different cultures,languages, creed,and colour and yet we are still one!!! Jai Shri Mataji! Thank you for asking that question. Writing it down has made it a lot clearer for me. A Heartwarming Welcome from Sahaja Brothers and Sisters in the Czech Republic. After corresponding with Vladimir Hradil - a Sahaja Yogi from the Czech Republic for 3 years, it was a true blessing from Shri Mataji that we at last met. Vladimir had written an article for the Czech magazine equivalent, “Divine Cool Breeze” about the CD. “Celebrate from your Heart” What a heartwarming experience to meet Vladimir, his wife Borgena and his family in a village close to Bruntal called Bridlicna. Lots of warmth and vibrations flowed as we shared food together and discussed Sahaja around the world. We were warmly hosted by another Sahaja sister; Jana and her husband Stanley in Bruntal and as is common amongst Sahaja yogis were able to communicate quite readily even though we spoke different languages. On Sunday Oct. 1st, I was invited to perform at a public concert in the little village of Rymarov. There were approx. 50 yogis in attendance and also 25 villagers, who received their realization. The support and vibrations from the yogis was tremendous with the youngest yogi at the concert being just one month old!We were fortunate to be shown the city of Prague the next day by another Sahaja sister, Hana and it was fascinating to learn about the history of the city and the many colourful figures and events that have shaped this beautiful place. The vibrations of the city were crowned by a beautiful sahastrara in the sky during our visit. On the Tuesday, it was a pleasure to visit the Borotin Kindergarten and to sing with the children and enjoy a delicious lunch together. It was wonderful to see the hard work that has been accomplished by the grace of Shri Mataji and to meet all those who work a labour of love for this special place. The children were a delight to be with and keen to support by playing the guitar for me. Tuesday evening was a beautiful time spent with Vladimir, Borjena and the the Sahaja family of the Rymarov collective. 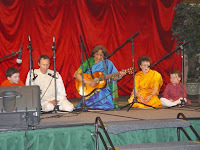 It was very special taking part in the collective programme and sharing songs and bhajans from countries around the world.I sincerely thank my brother Vladimir for having the pure desire for our meeting to work out and to all the Sahaja Yogis, family and friends in Czech Republic who made my husband Geoff, my Auntie Muri and my stay such a heartfelt and memorable one.Thank you Shri Mataji for this blessing.Jai Jai Jai Shri Mataji!